ARE YOU ONE AMONG MILLIONS TO GET FOOLED BY FAKE AD BLOCKER? More than 20 million users accidentally installed malicious Adblocker to Google Chrome to ward-off unwanted ads, invasive marketing practices and to avert annoying interruptions while web surfing. Ad Guard, an ad blocking service provider, has recently discovered that millions of Chrome users were fooled to install malicious Chrome extensions that were clones of original Ad blockers. These bogus extensions were implanted with infected codes and once downloaded and installed, they get access to your data and browsing history. As a result, your personal information was directly transferred to the server, giving hackers the complete command of the browser. A total of five bogus Ad Blocker were available on the internet for installation named AdRemover for Google Chrome, uBlock Plus, Adblock Pro, HD for YouTube and Webutation. These extensions were responsible for blocking unwanted ads instead they were infecting your computer with viruses and data breaches. WHAT HAS GOOGLE DONE TO DEAL WITH THIS PROBLEM? This is not the first time when Google Chrome security is compromised. Therefore, it is vital that Google Chrome users inspect their ad blocking extensions before downloading into their browsers. However, after the report was issued by Ad Guard, Google removed these five malicious extensions from the internet. It is imperative to check the author of company before installing the any Google Chrome extensions. If the developer is legitimate, it will direct you to its official website or will link you to Google’s online store to assure you that they are not copied extensions. In case, if you are using any of this bogus Ad Blocker, get rid of them for your own security and install original versions. Several Gmail users reported that their inbox is filled with ads that were sent by their own account. They complained that their sent folder is flooded with spam messages and were sent unknowingly from their account to unknown users. Meanwhile, changing the passwords of Gmail account didn’t have any impact on preventing these files from going out from the account. Gmail account is automatically sending spam messages to unknown addresses even though users have enabled two-step authentication process. According to reports, hackers are using the name of Telus, a Canadian telecommunication company to forge email header and to make those emails appear genuine, they are sending messages from known users to get the emails past spam filters. However, the company, Telus, has stated that they are aware of the spams that are being circulated in disguised form and has confirmed that their company is not responsible for the same. Meanwhile, they are trying to fix this problem and advising its customers to avoid any suspicious emails. WHAT HAS GMAIL DONE TO AVERT THIS PROBLEM? 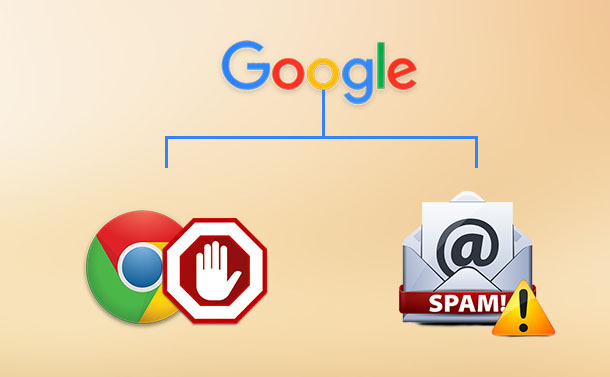 According to Google spokesperson, the spam has affected a small portion of the users and is limited to area. The company has already taken effective measure to deal with the issue and protect the users from spamming. They are doing everything to fix this issue permanently. However, Gmail has not figured out the source of this problem and whether it has extended to large number of users. Whatever the reasons are, Google need to fix this mess as soon as possible and ensure that their user’s data and account are not compromised due to spamming.